Post Malone and 21 Savage's new collab "Rockstar" rakes in by far the most views of the week. We've known about Post Malone's planned sophmore album, Beerbongs and Bentleys, for quite some time, but nine months on from the release of Stoney, details on it are still scarce. If the reaction on HNHH is any gauge, the singer's new single should get the ball rolling for the new project. 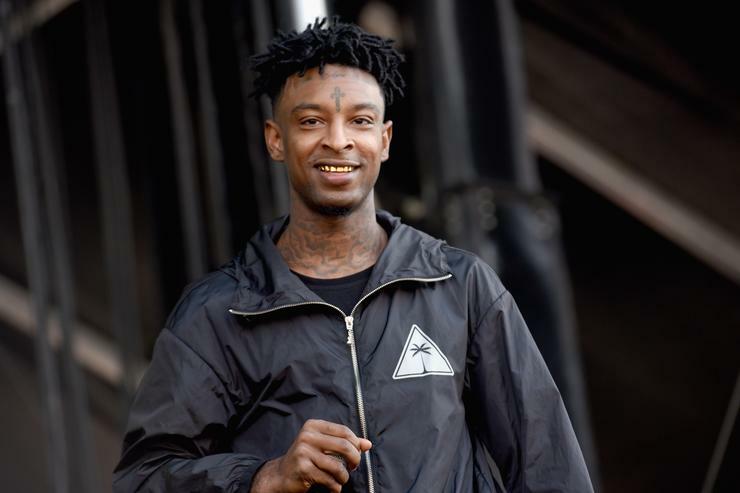 "Rockstar," which features 21 Savage, dropped last week and immediately received a ton of hype, racking up over 20% more views than its nearest competitor. We've got a three-way tie or first place in the "most appearances" department this week, with Quavo, The Weeknd, and The Game all showing up twice apiece. New tracks barely missing out on spots this week include Nipsey Hussle's "Grindin All My Life" (#11), T.I. and Lil Wayne's "Wit Me" (#12), Kevin Gates and PnB Rock's "Beautiful Scars" (#13), and Maxo Kream and Lil Uzi Vert's "Mars" (#15). Russ' biggest contribution to the news cycle last week was an Instagram post featuring an anti-drug shirt that was quickly parodied and critiqued, but he released some music too. "Think Twice" is a big deal because it is, to our knowledge, the first song the singer/rapper's released that's not self-produced. It's for good reason though: Scott Storch is behind the boards. "Think Twice" debuts at #10. Lil Dicky and his absurdist alter-ego Brain made the charts last week with "Could I B Jesus," and after releasing the I'm Brain EP, they're back again. The Game, on the other hand, hasn't been seen in this neck of the woods in a while, but this is his first of two appearances this week. "How Can U Sleep" debuts at #9. Gucci Mane's star-studded Mr. Davis album was pushed back before it could be released on its scheduled Friday release date last week, but Wop wasn't about to leave us totally empty-handed. Having already shared a single featuring Migos, he dropped the Weeknd-assisted "Curve" last week. This one debuts at #8. PartyNextDoor breaks his streak of charting solo loosies this week, but continues his consecutive appearances with this new guest appearance on a Wiz Khalifa song. "Rain" was produced by frequent Taylor Gang collaborators Sledgren and Cardo, and it debuts at #7. The Game's second appearance this week comes courtesy of a tribute to someone he's been paying homage to for his whole career, 2Pac. "Heaven 4 A Gangster" is taken from the soundtrack of A&E's "Who Killed Tupac?" docuseries. It debuts at #6. This one was a bit random and unexpected, but Travis Scott dropped off a minute-long remix of "Roll In Peace," a highlight from Kodak Black's recently-released Project Baby 2. Because of a copyright claim, it's no longer online. La Flame's remix debuts at #5. One of the most frequently-referenced cars in hip hop is the Maybach Wraith, and one of its most frequently-referenced details is the lights in ceiling that look like stars. Quavo dedicates his new Zaytoven-produced solo track to that, and it's a by-the-numbers banger. "Stars in the Ceiling" debuts at #4. With more detailed allegations surfacing against the R&B legend a few months ago, now might not be the best time for and R. Kelly remix, but The Weeknd went for it. This freestyle over "Down Low (No One Has to Know)" debuted on OVO Sound last Saturday, so it showed up a little too late to make this list last week. In its second week out, the freestyle is up 42 places from #45 to #3. After appearing a week-best three times in last week's edition, Meek Mill is back by a sheer stroke of luck, as this years-old collaboration with Migos surfaced this past week. Produced by Key Wane, "Contagious" didn't last long online, and if we had to guess, it probably won't ever show up on an official release from either artist. This one debuts at #2. 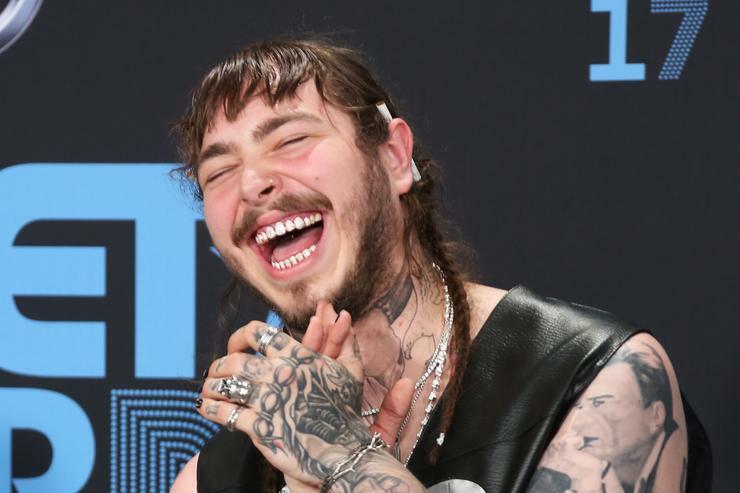 Despite its title and barbed-wire-featuring artwork, "Rockstar" is one of Post Malone's most mainstream rap-sounding cuts in a minute. Add in a guest verse from the ATL sensation 21 Savage, and this almost feels like a crossover from Mr. Stoney. "Rockstar" debuts at #1. Kevin Hart Swore Off Atlanta Strip Clubs Because He's A "Married Man"